Mr. Greene oversees all aspects of Haberhill’s business and is directly responsible for investment origination, client and investor relations and supervision of due diligence, underwriting and asset management. Mr. Greene has over 36 years of experience in lodging finance, acquisition, disposition and asset management, with total transaction volume of over $5 billion. Prior to forming Haberhill LLC in 2000, Mr. Greene spent 18 years with Marriott Corporation and Host Hotels and Resorts (formerly Host Marriott Corporation). Belinda Simmons, CPA, joined Haberhill in 2005. Prior to that, she served as Director of Partnership Reporting, Budgeting and Forecasting for Host Hotels and Resorts (formerly Host Marriott) in Bethesda Md. Belinda is the Director of Accounting for Haberhill LLC, preparing corporate and partnership level financial statements. She is also involved with acquisitions and asset management of hotel assets. She has over 20 years of experience in the hospitality industry. Richard Johnson joined Haberhill in January 2007 as a Director. Prior to joining us, he served as Regional Finance Director for Starwood Hotels and Resorts in New York City and Northern New Jersey, Starwood’s largest EBITDA producing region. At Haberhill, Richard reviews potential acquisitions and performs due diligence as needed, creates operating and cash flow projections, and asset manages the respective hotel assets once we complete an acquisition. 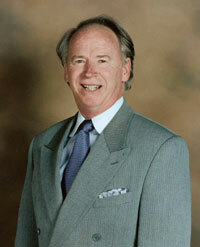 Mr. Johnson, a CPA, has over 41 years experience in hospitality finance, acquisition, disposition and operations. Over his long career, he has been involved in the development, construction and opening of 13 hotels and 3 casino/resort hotels, including the Atlantis Resort on Paradise Island in Nassau Bahamas 1994-95 and most recently, the Westin and W Times Square properties in New York City. 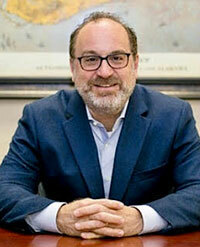 He has served as a Chief Financial Officer in four gaming jurisdictions and, He successfully completed an IPO for WHG resorts and Casinos in Puerto Rico in 1998, resulting in a 300% shareholder return on investment when the company was subsequently sold seven months after the IPO was initiated. Richard also spent nine years as Vice President Finance for Loews Hotels and started his hospitality career with Caesars World, Inc., where he also spent nine years. © 2019 Haberhill. All rights reserved.